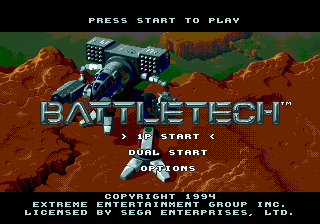 Battletech: A Game of Armored Combat is a top down action game released for the Sega Mega Drive exclusively in North America. It belongs to the MechWarrior universe. Main article: Battletech: A Game of Armored Combat/Magazine articles.